In this month’s LifeLine installment – a series dedicated to helping you see more of the good inside of you and to help you discover or expand on your story – we discuss seeing and fulfilling the true focus of our lives and those things that may distract us or hold us back from doing them, including fear, shame, or social pressure. We discuss the magic of LifeBeats in creating a connection between two dissimilar stories to create a similar feeling inside of us that resonates with our core desires. I guide you through a “focus windstorm” exercise to draw out those things that you give attention to and then identify those things to which your focus is most in alignment with your true self. We look at the difference between the “should”s and our “must”s in our life through the guidance of Elle Luna’s book “The Crossroads of Should and Must” to evaluate what you may be only doing in your life because of the expectations of others or social obligation. 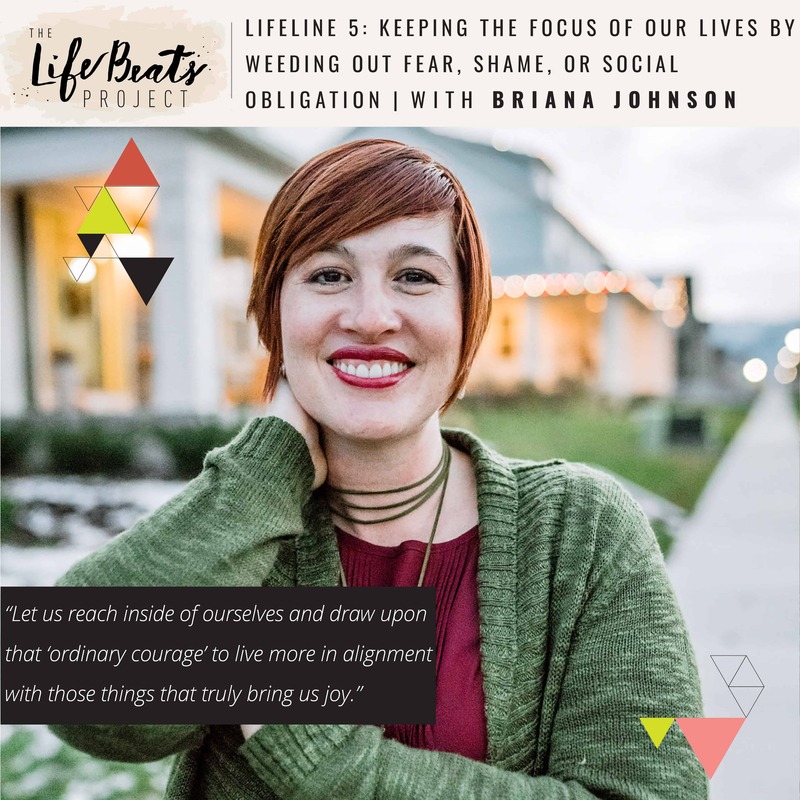 We also examine the concepts of ordinary courage and shame resilience found in Brene Brown’s book ““I Thought it was Just Me (But it Isn’t)” in regards to our lack of sharing our stories due to a culture of shame, blame, and disconnection. We discuss the freedom you can grant others by sharing your story, which tells them “they are not alone”. We discuss how we can change one small thought or action at a time, this concept of waxing as in the waxing phases of the moon. “Wax On, Shine On” is revealed as the theme for our podcast anniversary event and more details are revealed about that night, including the ticket release FEB 1 at 9 am MST. Want to know if this episode it for you? This episode is perfect for someone who is trying their best to give focus to those most important things in their life but may need a little adjustment in what they are placing as most important in their lives. It is perfect for the busy person, the overwhelmed, the discouraged, or the fearful. It is great for someone who needs to hear that they matter and are not alone!